Sold by solartech-led and Fulfilled by Amazon. Gift-wrap available. 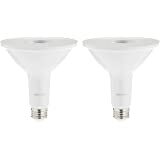 Sold by solartech-led and ships from Amazon Fulfillment. 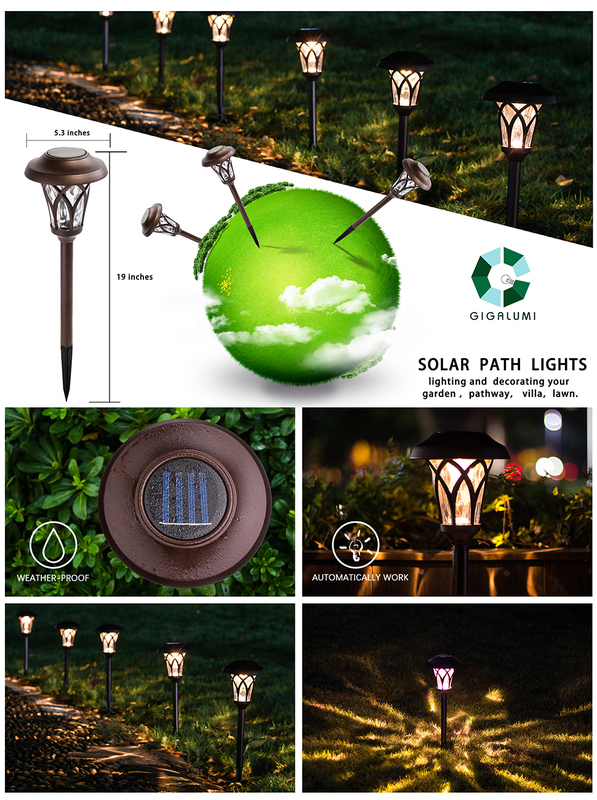 Solar landscape Light to light up your pathway, for great visibility and decoration. 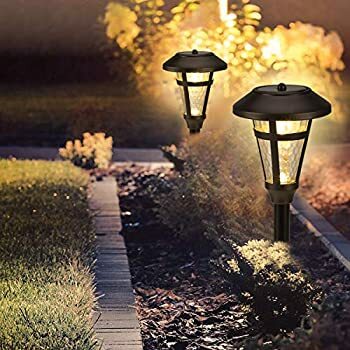 This Aluminum Coated Solar Light is bright enough to light up your pathway/ walkway. 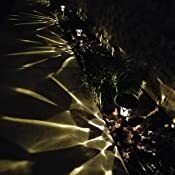 The beautiful warm white lighting pattern creates very comfortable and romantic atmosphere. 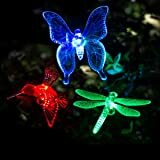 With the Highly Transparent Glass Lamp Cover, light has a good illumination effect that is really comfortable and fascinating. 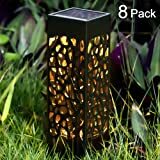 Perfect for patio, garden, lawn, villa, balcony, flowerbed and any outdoor areas. 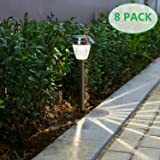 This item GIGALUMI Solar Pathway Lights Outdoor, 6 Pcs Super Bright High Lumen Solar Powered LED Garden Lights for Lawn, Patio, Yard. 5.0 out of 5 starsAlmost perfect. 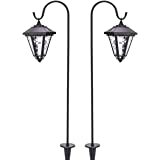 These are nice for bordering a walkway after dark. They are attractive, well made, easy to assemble, and are ready to go after a few hours of charging. The only thing keeping me from giving 5 stars is they should be a little brighter. That's worth a half star off. As only whole numbers are allowed, I must use 4 stars; but they are 4.5 in my book. 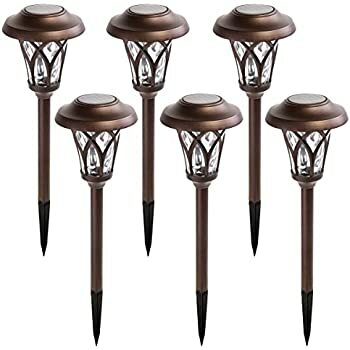 In fact, I like them enough that I have ordered a 2nd set for a garden area. UPDATE: One of the lights in the first set went out right away. I contacted the company, and they promptly replied, apologized, and sent me a replacement. No hassle! That's 5 star service, so I've updated my star rating to reflect that. Also, the lights in the second set I ordered are all working well so far, and I'm likely to buy a 3rd set for another area. 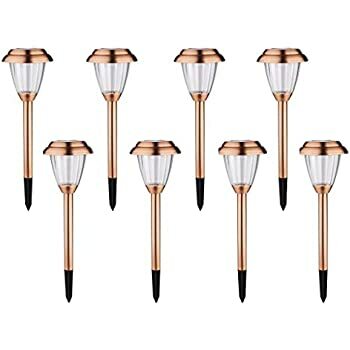 UPDATE 2: Because of the quality of these lights and the excellent customer service, I have now ordered that 3rd set I was considering. 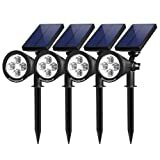 5.0 out of 5 starsThese solar lights are Prefect! Just buy them. These lights are fantastic and they have real glass in them so the reflection from them is out-standing. The lights display just the right amount of natural lighting and also the right amount of shadowing too. 5.0 out of 5 starsStays lit a long time and are beautiful! Amazing Amazing Amazing! 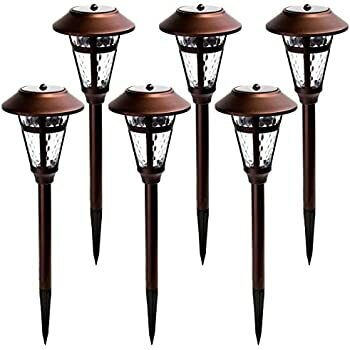 I have used solar lights along my walk way but they don’t throw a lot of light, and compared to these, were cheaply made and not as useful. When I buy more, it will be this product. 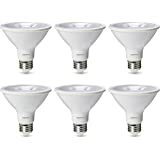 Great quality lights. 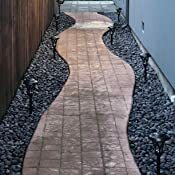 The LEDs are bright enough to illuminate my sidewalk and the light pattern is unique and eye catching. These have survived my sprinklers and a bit of light rain we had over the weekend. They came with two extra stakes which is a nice touch. 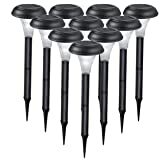 I wish the stakes were metal instead of plastic, but at the very least they feel very well built compared to other path lighting I had been using. We installed an invisible fence and I wanted to get some lights to help my dog figure out where the fence is at night. These are really lovely. 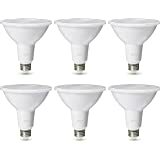 I have purchased similar lights at home depot in the past, but these are much larger and sturdier than the ones I bought from home depot. 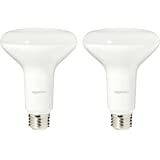 I believe these were a bit more expensive, but still a good value for what you get. 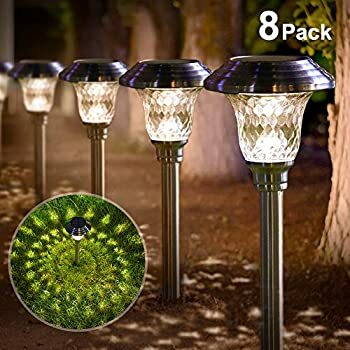 These are plenty bright for my uses and look nice at night, as well as during the day. I noticed that on a cloudy day, the light only lasted until about 10pm, then turned off, but I don't need the lights to be on all night anyway, so I was fine with this. 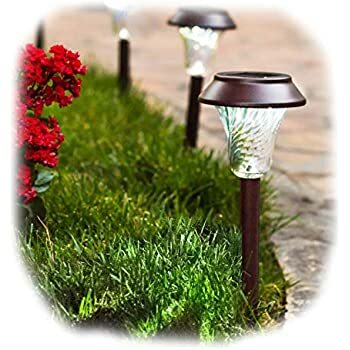 The only con is that if I try to pull it out (to reposition, for example), the spike part separates really easily from the rest of the light, so the spike part ends up in the ground. It is not super hard to pull out, but there is definitely a lot less leverage that way and you have to get your hands dirty. Not a deal-breaker for me; just a slight annoyance. Once I got them to where I wanted them, I don't feel the need to ever move them again. 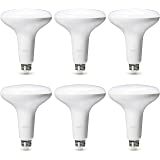 I like that these do not look cheap or like some sort of space ship. They have real glass and thus look more high end. 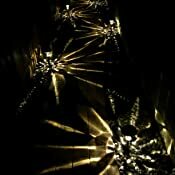 They are not as bright as lights you would wire in , but they do illuminate my front walk well enough. They are also easily visible from the street if you have less than 150 feet of frontage. My aunt liked mine so much I purchased a set for her too. 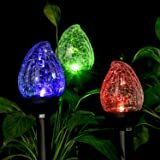 I love the lights but I have been trying to reach the company to discuss purchasing more lights but no one responds back. 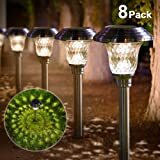 I finally found a correct e-mail address (on my own), and sent in photos of my lights and they sent me a coupon so I can order more lights. I love these lights. In the evening they look so beautiful! 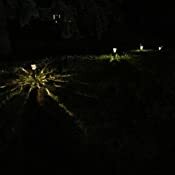 We just received these lights and so far they are very bright and pretty on our walkway. The area gets sun all day as it is facing south. 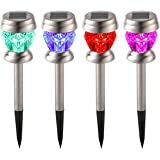 I would definitely recommend these lights. 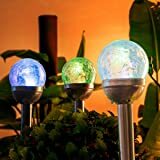 This item: GIGALUMI Solar Pathway Lights Outdoor, 6 Pcs Super Bright High Lumen Solar Powered LED Garden Lights for Lawn, Patio, Yard.